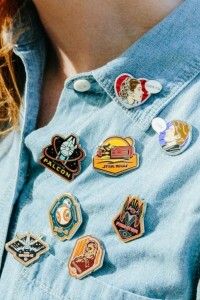 The Disney Style blog recently posted an article about styling Disney Pins, featuring a great collection of Star Wars pins. As I can’t visit a Disney Park very often (and there are no Disney Stores in New Zealand), I’m afraid my own collection of Disney pins is very small. I love the idea of taking small items and customizing a plain garment with a bit of Star Wars flair – it can be as subtle or bold as you like, and you can change it up often. The Disney Store website currently has six Star Wars pins available online – designs include Captain Phasma, Kylo Ren, Finn, Stormtrooper, Darth Vader, and the Resistance. 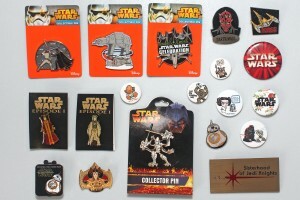 The pins are priced from US$7.99 to US$9.99 – the Disney Store can ship internationally. 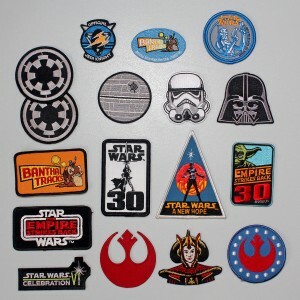 Pin collecting and trading is hugely popular, so there are many options for Star Wars pins – check out listings on Amazon and eBay to see what’s available. 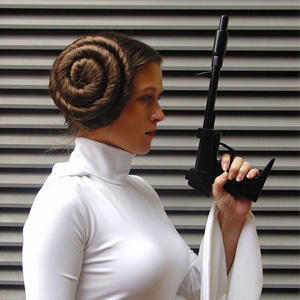 Above photos sourced from and belong to Disney Style. 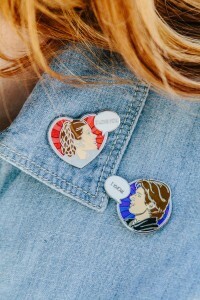 While adding pins and/or patches to denim is not a new idea, it is fun to see designers like Marc Jacobs releasing decorated jackets in their new season collections. 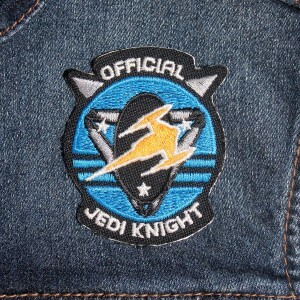 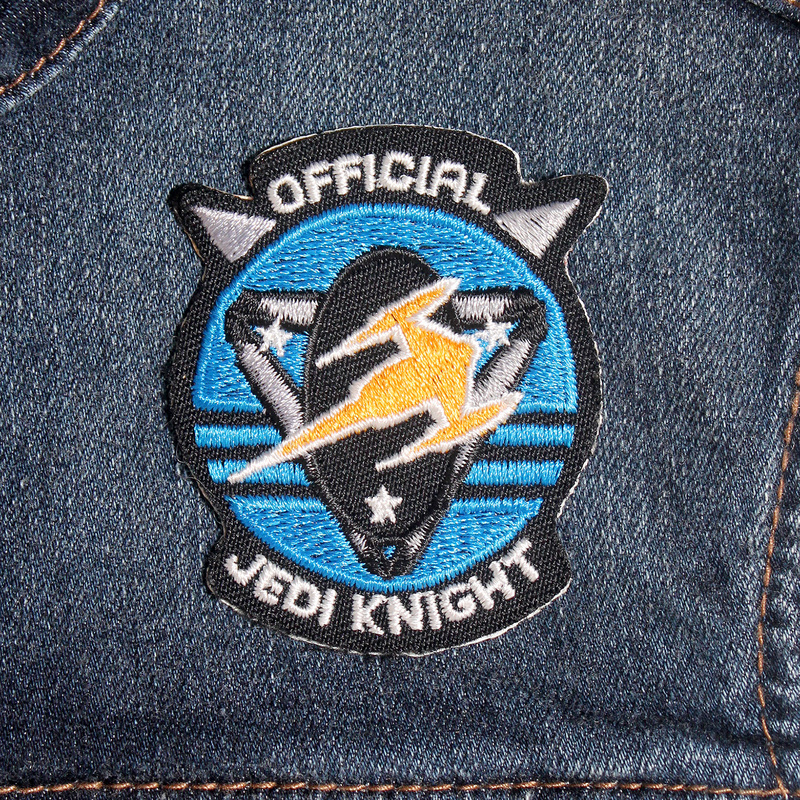 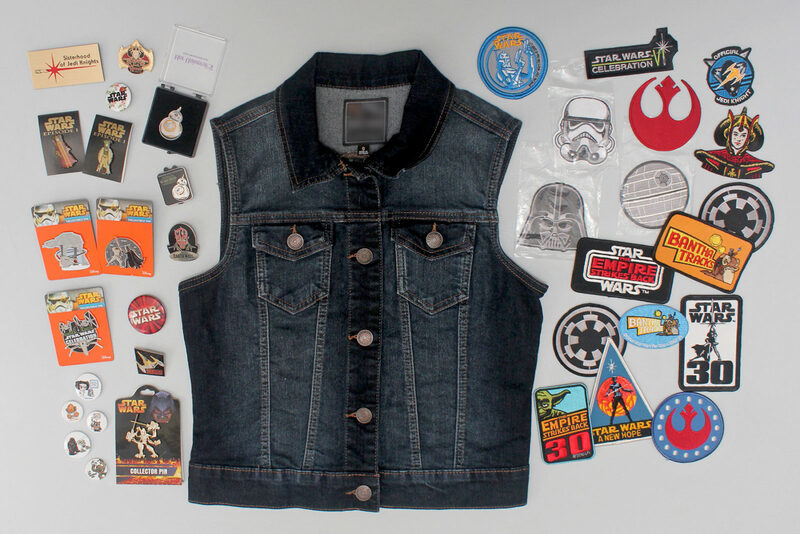 Taking a bit of inspiration, I pulled out my collection of Star Wars pins and patches to experiment with themes and placements on a denim vest (it is summer here at the moment, though I’d love to customize a jacket for winter too). 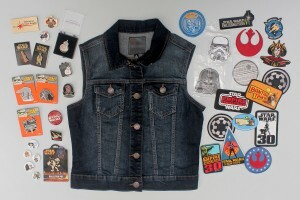 Denim is the most popular choice of fabric for wearing pins on – pins will pierce/damage vinyl and leather. 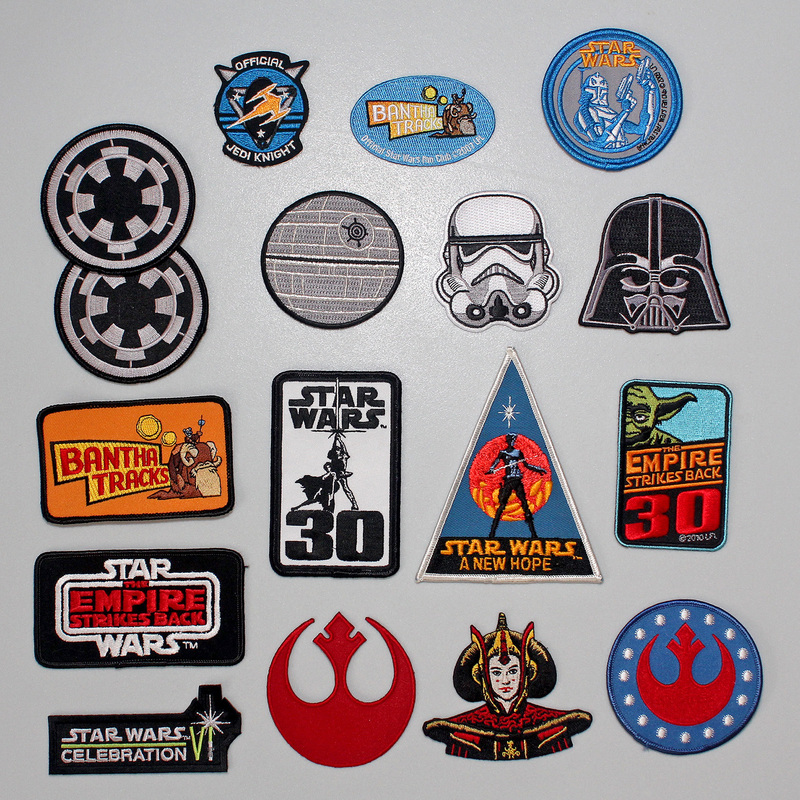 My pins and patches have come from a variety of sources over the years as a collector – like the ‘Sisterhood of Jedi Knights’ pin, the BB-8 pin from Her Universe, and patches from the official ‘Bantha Tracks’ fan club. 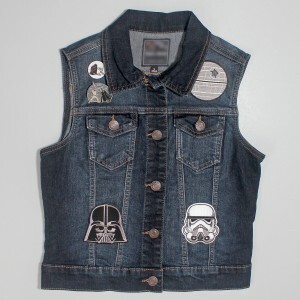 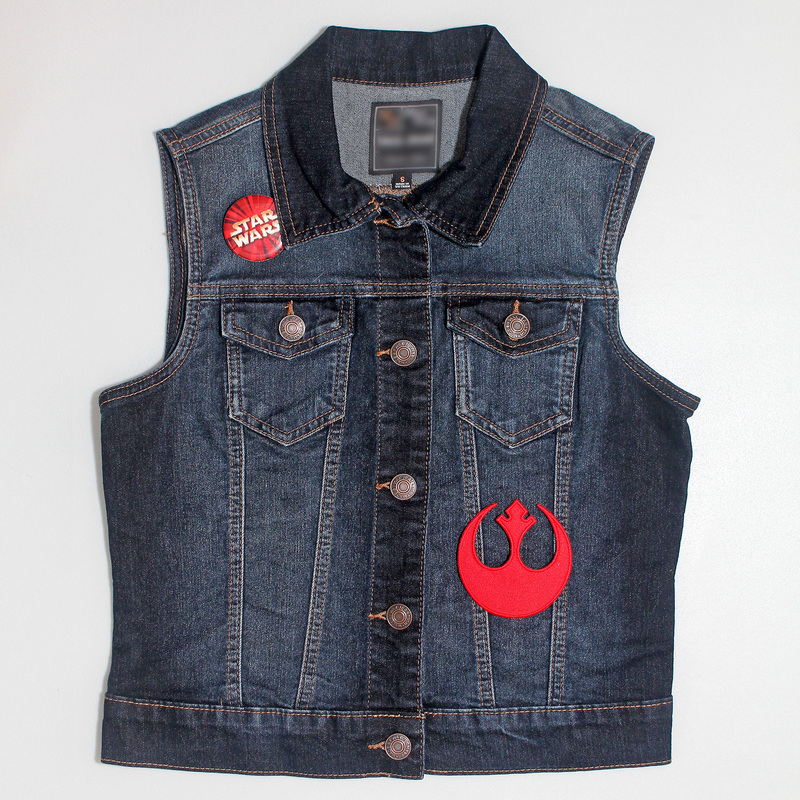 I bought this denim vest with plans to customize it with a Star Wars theme – it may take me a while to settle on my favourite combination of pins and/or patches, plus there’s always hand painting a design on if you’re keen! 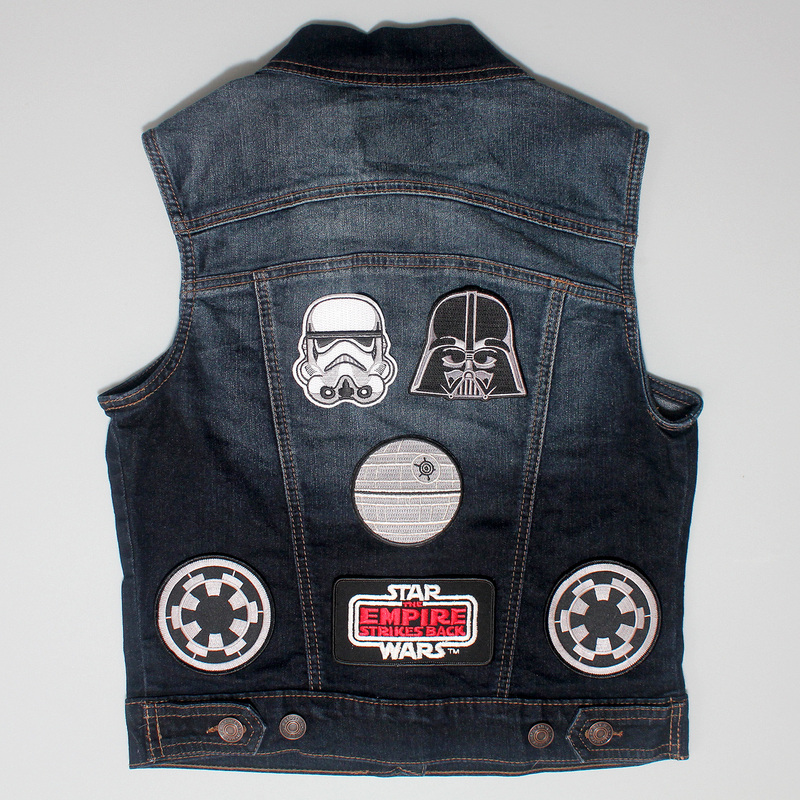 Pins are the easiest starting point, as they are completely removable, allowing you to change up your theme when you want (Dark Side, The Force Awakens, Female Characters etc), and you can revert your garment back to ‘plain’ if you want. 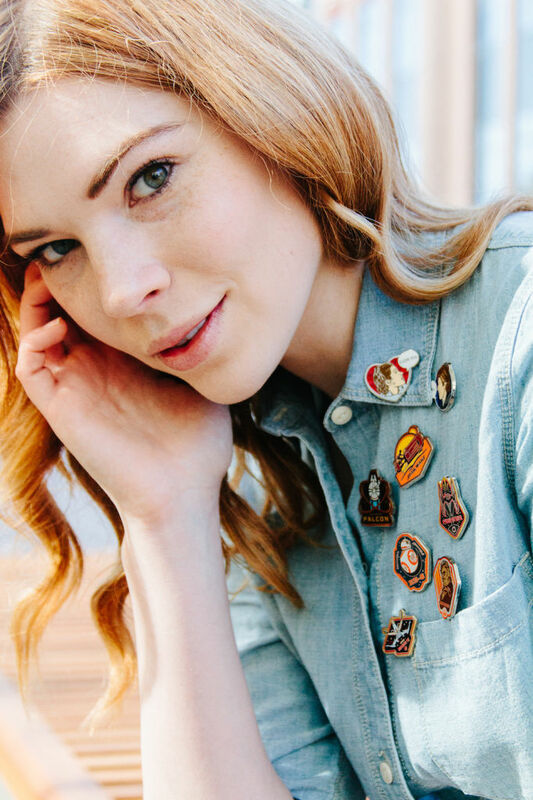 Heavier pins may leave a more noticeable hole in the fabric if worn for an extended period of time – you can remove your pins after wearing to help avoid any noticeable pin holes if you also plan to wear your garment without the additional decoration. 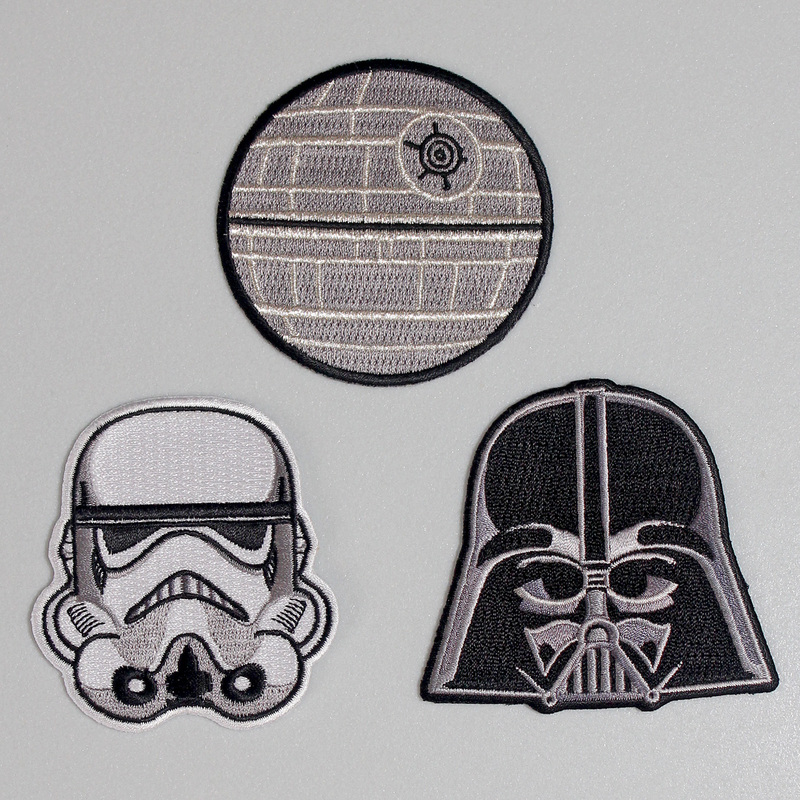 While I initially thought I was going to pick a Rebel Alliance theme as my favourite, I really like these Imperial patches together! 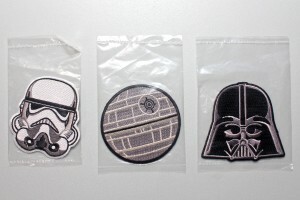 I was surprised to find out that these three patches are actually made by Loungefly! 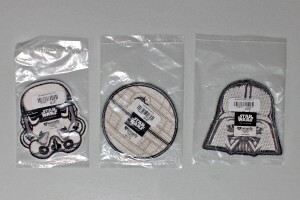 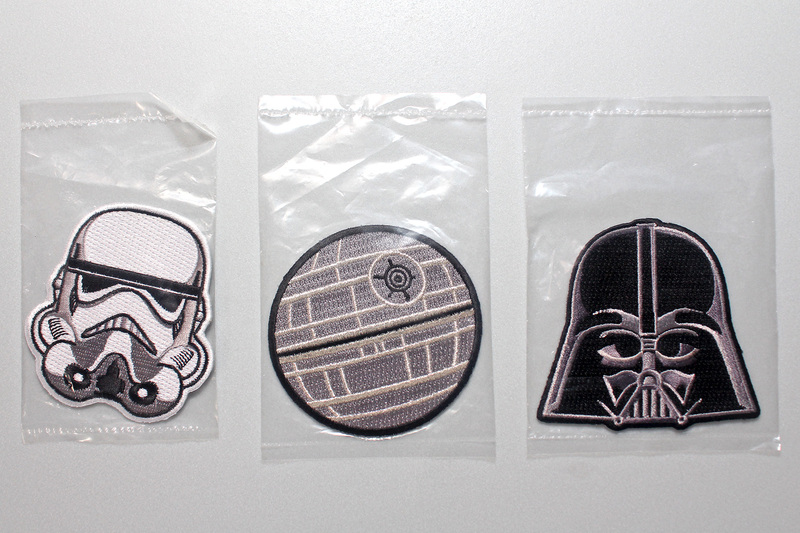 All three were bought from Hot Topic – the Death Star patch is still available, along with a neat floral Boba Fett patch. 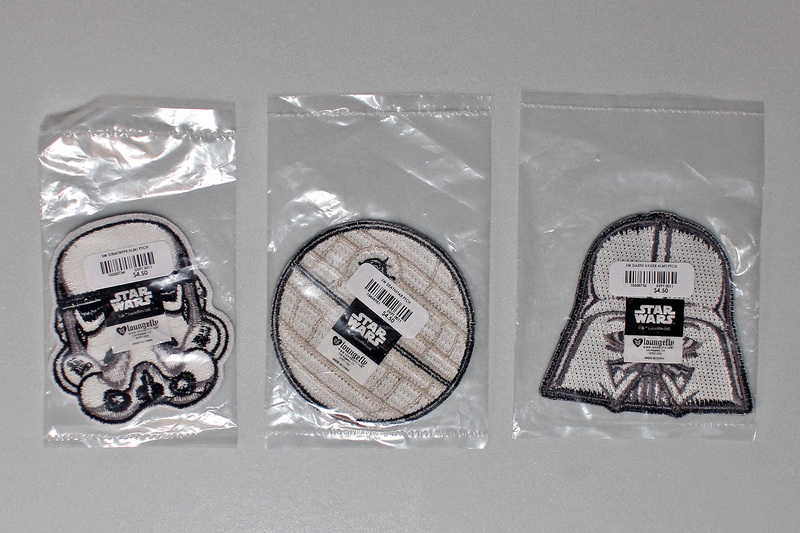 They are priced at US$4.50 each, but are currently on sale for US$3.60 each – shop them here. 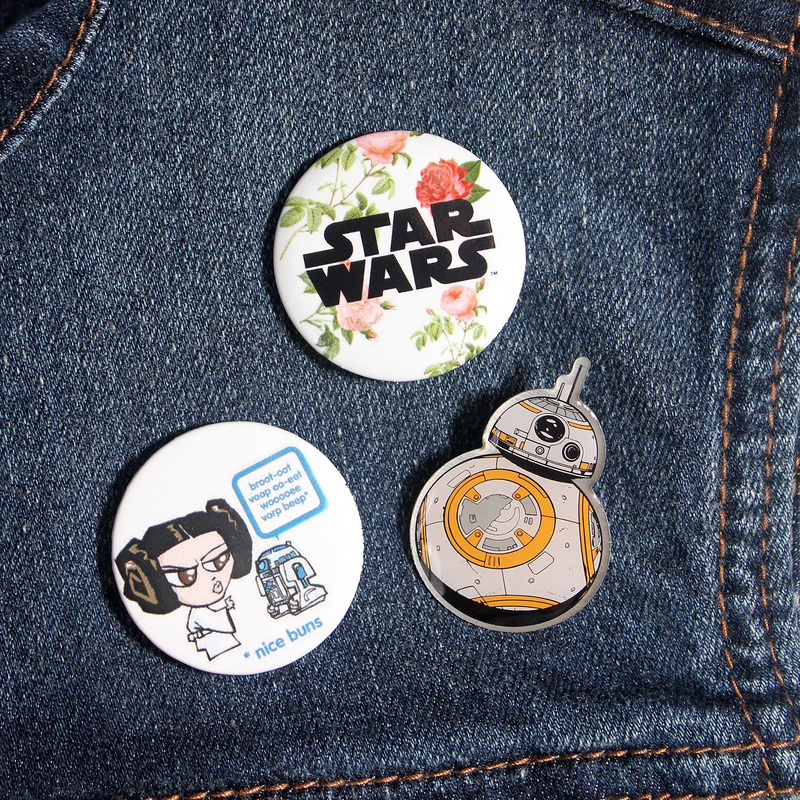 I also really l like my three small Star Wars pins together – my floral Star Wars logo pin was also bought from Hot Topic (they have a similar one still available). I know I’m going to spend a while playing around with themes before I finally settle on a design!